Interview by founder Bryony Purvis with GILLIAN KALISKY, TPA bursary recipient. TPA: Where did your interest in photography begin? GK: In a way I have always been interested in photography. I got my first camera around age 8. It was one of those rectangular 110 ones and I used it to shoot pictures of my feet mostly (which is a weird habit I never quite got over). I didn't get serious about photography until university though. I went to NYU and I took a basic black & white course while studying abroad in Florence. I fell in love with the magic of the darkroom, which I think is what hooks a lot of people at first. TPA: Tell us a little about your current work? 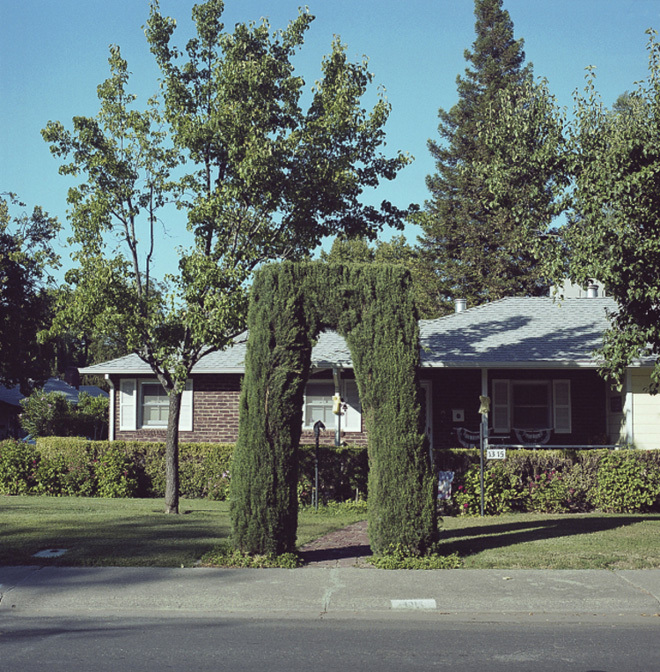 GK: So my current work is essentially my love letter to the part of California I grew up in – the Central Valley. It's this beautiful and odd part of that state that isn't very well known, although it's huge in area. The project is as much about process as it is about the final images for me. I have lived in England now for 5 years, and before that I was in New York and Paris so there is this big element of nostalgia. To make the work I am travelling back home several times a year and before I go I make these lists of memories and feelings that I want to capture. It has that taxonomical element to it. Like an encyclopaedia of my childhood- or how I am able to see it now that I have had years of distance from it. TPA: Which photographers do you look to for inspiration, and what is it about their work that moves you? GK: Oh this could be a very long list. I absolutely love Walker Evans and I have a big idea in the works that is an homage to Let Us Now Praise Famous Men. I can't think of any period of time in photography that is more historically significant and relevant now than the FSA. Then there are the great American road photographers- Frank, Shore, Sternfeld. William Eggleston is huge. I hope you can see a lot of all of those in my work. I'm always trying to find those special little windows of the fascinating inside the seemingly mundane. Hockney. Alec Soth is my favourite contemporary photographer. And I'm really inspired by painters too. I love Richter. I actually wish I was a photorealistic painter, but I don't have the skill. I love Hopper. The working title of my project is "I could go on forever listing things I love" and it's really true.